Tory MP Slams Anti-May Attacks But Won’t Name Attacker? So that strange ‘Conservative’ MP, Nicholas Boles, is outraged that another Tory MP has been making anonymous attacks on Theresa the Appeaser? I’m sure the target of Boles’s powerful rhetoric has been called worse, whoever he may be. But Boles has a point. If MPs have harsh words for May – and everybody should have – they should not skulk behind the curtains when they say them. Politics is not a game for shrinking violets. Yet playing the cowardice card cuts both ways! 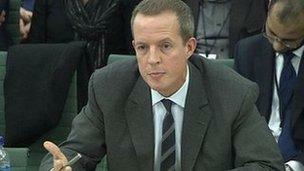 One can only despise Mr. Boles’ failure to name and shame the ‘small’ bounder! He says lots of people in parliament besides himself know who it is, but nevertheless he declines to let the rest of us know? It’s exactly this kind of condescending elitist attitude that brings parliament into disrepute. There is absolutely nothing to stop Boles standing up in the Commons, in a debate, or via a written question, or making a point of order, and saying the name out loud. Parliamentary privilege allows him to do so, and then every journo could report it. Until he does so, he should shut up about the size of the May-basher. Boles is a typical modern Tory, a wimp blustering to win May’s approval but not prepared to be open with us poor commoners about his little secret cache of knowledge that he and the fairy circle in Westminster claim to have. To me it’s much ado about nothing. In politics and business, phrases like ‘going in for the kill’ are part of the daily vocabulary, nothing to do with physical threats. All part of the ‘cut and thrust’ of debate, or is that phrase too now banned in case it upsets nancy boys and girls. What gets me is how they are trying to make it into some sort of feminist issue. May wanted to be Prime Minister and she has made a right dog’s breakfast of it, esp. Brexit. The knives are out, a night of the long knives, old familiar words long used in politics at every level, nothing sinister about them..
Just because it’s May that is due for the chop ( another violent phrase, yes?) we have all kinds of obsessive people jumping on the bandwagon to make out that the terrible misogynists are on the prowl. The Guardian is nearly hysterical. Boles has the backbone of a jellied eel. He is worse than the man he insults. ← Debate? France24 Stacks The Deck Again!